Yearning to learn more about the wonders of evolution and the creatures that inhabit the earth, Dr. Nussbaum has spent his career conducting fundamental research aimed at revealing the diversity and evolution of vertebrate organisms and studying the life history, ecology, and distribution of these animals. Specializing in amphibians and reptiles, he has had species of salamanders, frogs and rare amphibians called caecilians (Gymnophiona) named after him. Though he does laboratory studies, Dr. Nussbaum prefers field research and has with his colleagues recently found more than 100 new species of amphibians, reptiles, and mammals in Madagascar. Naturally, they are excited about these discoveries and hope to learn more about these and other animals that have yet to be discovered. In preparation for his exciting career, Dr. Nussbaum earned a Bachelor of Science in biology from the University of Idaho, a Master of Science in biology from Central Washington University (CWU) and a Doctor of Philosophy in biology from Oregon State University. He credits Dr. Robert H. Brown, now (as of 1997) a Professor Emeritus in Biology at CWU, for inspiring him to pursue a career in biology. Dr. Sheldon R. Johnson, also an Emeritus Professor (2004) at CWU helped him to clarify his research direction and encouraged him to pursue a Ph.D. at Oregon State University. Dr. Nussbaum fondly recalls Dr. Philip C. Dumas’s charisma and expertise, which were the reasons he followed Dr. Dumas from the University of Idaho to CWU where Dr. Dumas chaired his Master’s committee. While still at the University of Idaho, Dr. Dumas taught him the joys of field work and the fundamental relationship between field and laboratory research. In 1995, Dr. Nussbaum paid homage to Dr. Dumas by naming a new species of lizard (Mabuya dumasi) from Madagascar after him. Dr. Nussbaum was proud to be invited to give the inaugural Philip C. Dumas Lecture in Biology at Central Washington University, which was presented May 22, 2003, nine years after Dr. Dumas’s death. Additionally, Dr. Nussbaum is grateful to Dr. Robert M. Storm, Professor Emeritus (deceased, 2017) at Oregon State University for guidance, companionship, and for chairing his doctoral dissertation. 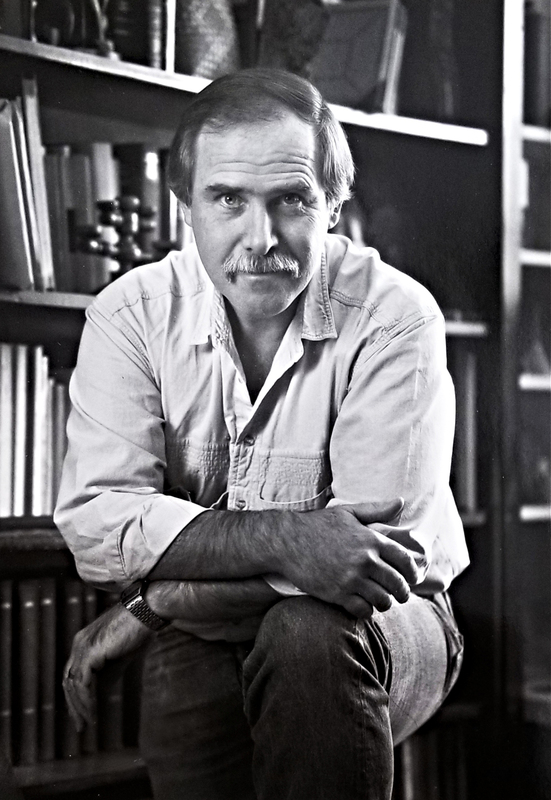 “Doc” Storm also co-authored the book “Amphibians and Reptiles of the Pacific Northwest”, published in 1983 with Dr. Nussbaum and Dr. Edmund D. Brodie Jr., another of Doc Storm’s graduate students. Dr. Brodie, “Butch”, also had an important influence on Dr. Nussbaum’s career. The two traveled the World together and co-authored several research papers, both as fellow graduate students and later in their professorial careers. Following the completion of his graduate studies, he worked as a research associate at Oregon State University from 1972 to 1974. He then took his talents to the University of Michigan, serving as a curator of herpetology from 1974 to 2016. Dr. Nussbaum is now Professor Emeritus of Ecology and Evolutionary Biology as well as Curator Emeritus of herpetology at the University of Michigan (Go Blue!). Professor Nussbaum has served as the Herpetological Editor of Copeia, Associate Editor of the Journal of Morphology, and Associate Editor of Systematic Zoology. He has held adjunct academic appointments in the Carnegie Museum, the British Museum of Natural History, the Bombay Natural History Society, and is a Fellow of the Academy of Zoology of India. Dr. Nussbaum is a member of many scientific societies and was elected to membership of the prestigious Phi Sigma Society (Biological Sciences Honorary), Sigma Xi Society (Science Honorary), and Phi Kappa Phi Society (Academic Honorary). Dr. Nussbaum is most proud of his doctoral research. His dissertation focused on Pacific giant salamanders of the genus Dicamptodon found in the Pacific Northwest of North America. He recalls Dr. Philip C. Dumas, then at the University of Idaho, taking him and his cohorts on a field trip where he first encountered these magnificent animals and has since committed himself to learn all he can about salamanders and other vertebrates. Dr. Nussbaum has spent half of his career in tropical places, such as the Seychelles Archipelago and Madagascar, to conduct field research, spending the other half in the laboratory and teaching at the University of Michigan. During his tenure as Director of the ESGR he received a large grant from the National Science Foundation to build a deer-proof fence around the Reserve, to improve the facilities on the Reserve, and to incorporate more property onto the Reserve on which to conduct research. The newly fenced property was used mainly to build artificial ponds and a laboratory for amphibian research done mainly by Dr. Earl Werner, Emeritus Professor of Ecology and Evolutionary Biology at the U of M, and his students. The new, enhanced fence keeps state-owned deer out and ESGR deer penned in to maintain the integrity of the ESGR deer herd for a variety research projects. In addition, the fence allows field researchers to do their work without fear of vandalism from unauthorized intruders. Dr. Nussbaum has always been interested in nature, and it is no coincidence that he is Curator Emeritus of one of the largest collections of vertebrate research specimens in the World. He grew up on a ranch in Idaho and spent much time in the deserts, woods, and riverine habitats. This early experience compelled him to create his legacy of discovery and care for animals as well as the natural world they inhabit. Dr. Nussbaum is greatly interested in conservation, lamenting that many species, including some newly discovered ones, are now needlessly extinct due to the habitat destruction that results from human overpopulation and poorly planned environmental management. However, he derives some small satisfaction in that his research has been used to prevent deforestation in some instances. Dr. Nussbaum’s work in Madagascar involved biodiversity surveys of amphibians, reptiles, and small mammals in the diminishing forests of this large island. He served as the early director of the International Union for Conservation of Nature (IUCN) species survival project aimed at assessing the status of the amphibian and reptile faunas of Madagascar and the Seychelles Archipelago. He has also used his knowledge in other ways, contributing approximately 200 research publications to the scientific literature. In recognition of his contributions to the field of biology, Dr. Nussbaum has been presented the coveted Albert Nelson Marquis Lifetime Achievement Award and has been featured in Who’s Who in America. Next Rogers Hall Stolen, Ph.D.